Napoleon's Rectangular Baking Stone is perfect for grilling and baking. The porous stone pulls moisture away from your pizza crust, pastries, and breads, yielding crispy and light results. The natural surface doesn't retain odors and flavors; so last week's garlic pizza won't flavor this week's homestyle honey biscuits. Like your favorite cast iron frying pan, this stone will season over time, creating a non-stick surface and making it more effective. It is recommended that you hand wash your Rectangular Baking Stone by hand, with warm water, once completely cooled. Avoid soapy water and scrubbing. Our exclusive heavy cast aluminum Bundt <sup></sup> Bakeware provides superior baking performance. Baked goods rise evenly, cook uniformly and are finely detailed thanks to the excellent thermal conduction of the heavy walls. A special heat-reflective exterior and premium nonstick surface assures perfect results. Our unique pans are wonderful for bread, moulded desserts and savoury dishes, as well as that special cake recipe of yours! 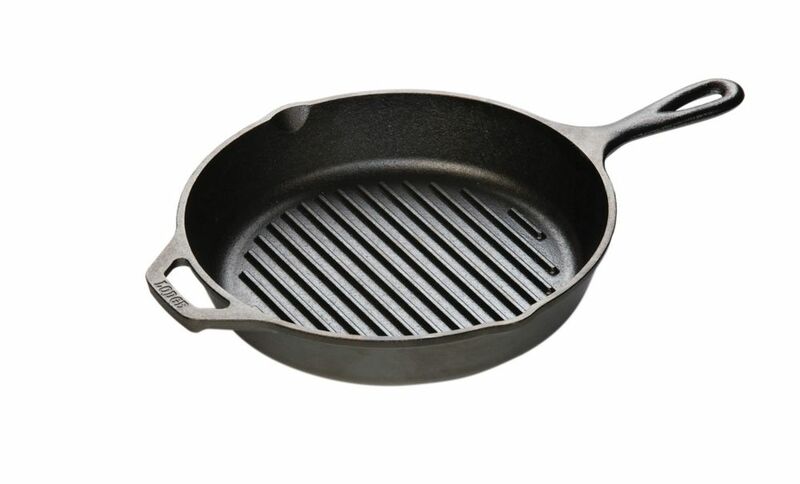 Lodge Logic Cast Iron Round Grill Pan 10.25 Inch Seasoning is simply oil baked into the iron, giving you a natural, easy-release finish that will improve with each use. Dishwashers, metal scouring pads, and harsh detergents can harm the finish. If this happens, you can revive your seasoning. Be sure to lift your pan when moving it on a glass top stove. Use any utensils you like, even metal. Heat and cool your pan gradually for added longevity. No microware. Lodge Logic Cast Iron Round Grill Pan 10.25 Inch is rated 4.9 out of 5 by 17. Rated 5 out of 5 by Bee from I love this pan. It gives steak and chicken a great grilled flavor. I love this pan. It gives steak and chicken a great grilled flavor. Rated 5 out of 5 by carol from simple to use , can be used indoors and outdoors. simple to use , can be used indoors and outdoors. Rated 5 out of 5 by yardgirl from I am using this to keep my bacon flat while cooking it on a griddle! I am using this to keep my bacon flat while cooking it on a griddle!